Click here for Dinner Reservation!!!! Let’s celebrate our fantastic festival performances and another great school year. The spring social will be on Friday, April 24 from 6:00pm-9:00pm in the school gym. Optional dinner is $5 with preorder. 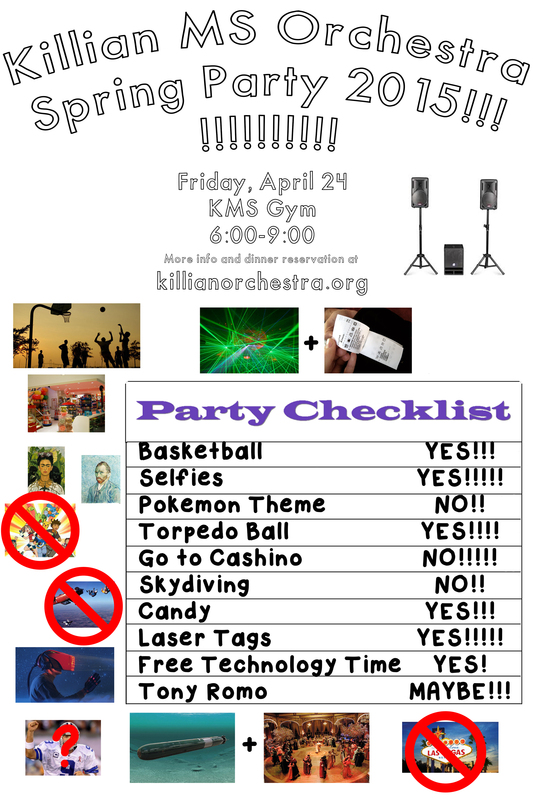 Party admission is free for all KMSO students in good academic standing. We’ll see you there!! !